You all must meet Jane. Jane lost her daughter at a very young age to drugs. Heartbroken, Jane sets out to try and get to know who her daughter was. Along the way she meets some of Melody’s friends. One is Caleb. An old soul. Someone who knew Melody in passing. One who had a coin game going with Melody. Jane and Caleb get to know each other. Caleb helps Jane around her house, to help her heal and learn to love again. JANE’S MELODY with make you laugh, cry, hope, and fall in love. 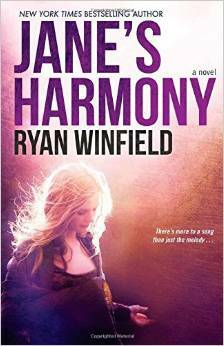 In JANE’S HARMONY ….. Caleb is given a chance of a life time. To make music, to be on a reality music show on tv. Will Jane follow him? Will Jane risk her heart for everything? 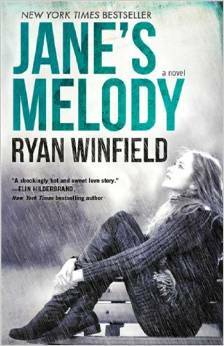 Find out when you read this exciting, heart melting sequel to JANE’S MELODY. Is love worth fighting for? YOU BET IT IS. Watch as Jane and Caleb fight for what they believe in. You will believe in them too!! Great reads from a great author. Be sure to check out Ryan Winfield’s THE PARK SERVICE Trilogy ….. THE PARK SERVICE (book 1), ISLE OF MAN (book 2) and STATE OF NATURE (book 3). Action packed books that left me sobbing and breathless by the end of book 3.